Addiction manifests itself in different ways from one person to the next. While the infrequent drug abuser may reconsider smoking a joint when they run the risk of failing a random drug test at work, that won’t hinder the addict. Someone who is truly dependent on a substance will use it regardless of its negative side effects. Even a routine, scheduled drug test isn’t a hindrance for many who don’t see a way to get by without drugs. A survey carried out earlier this year by the Pennsylvania’s Manufacturer’s Association noted that among companies requiring drug testing, 16 percent of individuals who had applied for a job failed the screening, and another 19 percent refused to participate or failed to appear for the testing. At the close of 2012, nearly 4 million America adults were on probation in the United States, and 985,694 of them carried a drug charge as their most serious offense. Imagine the convicted party of a drug crime being fortunate enough to receive no jail time. Instead, the court orders them to remain on probation for a year, during which they’ll have to report their activities to a probation officer and undergo routine drug screening to make sure they’re not still using. Sometimes house arrest is even part of the punishment, at the very least instilling a curfew time when the person must be home. Probation is just one of the results of the judicial system starting to see addiction as a health problem more than a crime. More than half of all convicted federal drug offenders in 2012 had little to no record of previous criminal activity. Still, people often question whether or not probation works. The data isn’t terribly supportive of it. In 2013, there were 4.5 million adult Americans on probation at some point, and 31.4 percent of them still used drugs. Furthermore, 23.5 percent of them were using marijuana and 12.3 percent were using psychotherapeutic drugs without a medical reason to, compared to 7.3 percent of the general public using marijuana and only 2.3 percent using psychotherapeutic drugs. The first thing that enters an addicts mind when they want to use but have a drug test in their future is to use anyway. The second thing is how they’ll pass their drug test. This thought is generally followed with the question of how long the substance they’re abusing will stick around in their body. It should be noted that most people reference this in terms of blood or urine tests, the latter of which is the most common method of testing. However, drugs actually stay in your body as a whole for a long time, even if they aren’t detected in certain ways. For example, most drugs can still be found in your hair follicles months after your last use, but they won’t likely be present in your bloodstream after a few days. The likelihood of popping positive for a substance when you haven’t used any drugs is around 5 to 10 percent. Amphetamines remain in the urine for one to three days; cocaine can stick around for up to four days and methamphetamine up to six days. Heroin and most prescription opioid pain relievers generally won’t appear in the urine after four days from the last use. Alcohol should be depleted from the urine with three to five days. Among all substances, it responds best to flushing the system with liquids in an effort to excrete remnants of it, and this process may aid in speeding up the detox timeline. Although drugs and alcohol leave the bloodstream even more quickly than the urine, it should be noted that passing a blood test within a day or two of use is highly unlikely due to the ability to accurately measure exactly how much of a substance is in the bloodstream. Nearly every substance can be present in hair follicles up to three months after the last use. Saliva and sweat tests are not very common, and their results are iffy as they are less sensitive to substance presence, making errors more probable. In 2013, 3.7 percent of the 7.6 million urine samples analyzed tested positive for drugs, compared to 3.5 percent the years before, showing a growing trend in drug abuse. There are a myriad of ways that substance abusers try to rid their body of drugs they’ve used. The most popular is likely flushing their body by drinking an exorbitant amount of water. While this may have worked many years ago, labs have since caught on and can tell rather easily if your urine is diluted. In addition, many will turn off access to water and ask the party being tested to urinate in a container for sampling without flushing the toilet. One review noted that 12 percent of 710 urine drug tests were subject to misinterpretation, with 480 negative tests being too diluted to deem the results as accurate and trustworthy. This points out the gross amount of potential drug users who pass their screenings, as well as the large number of samples that are accepted despite being diluted. Others will attempt to use someone else’s clean urine to pass their test, a practice that is difficult to pull off nowadays. Most facilities now require that the sample be given under supervision to avoid this possibility. In addition, the urine is tested immediately, and a temperature will quickly be able to gauge whether or not the sample just came from you or your friend an hour ago. If your behavior is off when you show up for testing, you may be required to wait a while before giving your sample. This ensures that you build up enough urine so that it cannot be diluted by liquids consumed before you arrived. It also makes sure that any potential substances you’re carrying — like someone else’s urine — cool down before being given to the tester. Drug abuse is rampant enough that there are now products on the market that claim to conceal the presence of substances in your urine. There are also synthetic urine products to boot. These products can sometimes be both noisy and messy — red flags for specimen collectors. Synthetic urine products come with their own set of markers that make them fairly easy for a professional to notice. Shaving your head prior to a hair follicle test will generally get you sent home without a job. When it comes to blood tests, there is little that can be done other than abstaining from drugs long enough prior to the test or postponing it until such a time. In 2009, an Oregon-based lab discovered that 100 out of 1,900 urine samples they tested were synthetic urine. Upon retesting those hundred individuals, 98 to 99 percent popped positive for drug use. The obvious answer here is “no.” Using drugs or drinking when you shouldn’t be and later attempting to pass a drug screening test is risky business. For the drug offender, it could mean jail or prison time. Your parents or other family members may be counting on you to remain sober and might even have consequences of their own to impose if you don’t, such as kicking you out of the house or cutting you off financially. Employers certainly have no reason to show you any leniency, and a failed drug test most often means a loss of employment. Without income for survival or a support system backing them, substance abusers are not as likely to recover from an addiction. Those with mental health disorders are even more at risk. Having such a diagnosis frequently makes holding down a job and keeping family relationships in tact hard enough to begin with, without the added stress of substance abuse and addiction driving a wedge into things. Unfortunately, mental health troubles are all too common among the addicted population. A reported 53 percent of drug addicts and 37 percent of alcoholics have at least one serious mental health disorder. Comorbidity — the presence of more than one disorder — presents a complex situation for treatment professionals. 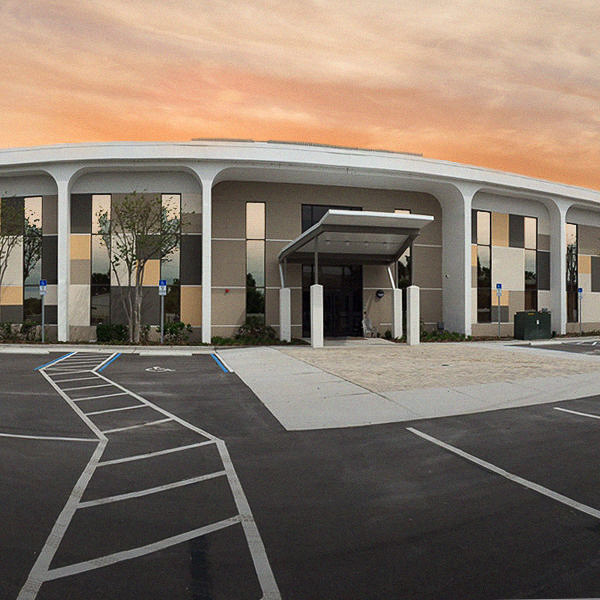 At Orlando Recovery Center, we rise to the challenge. 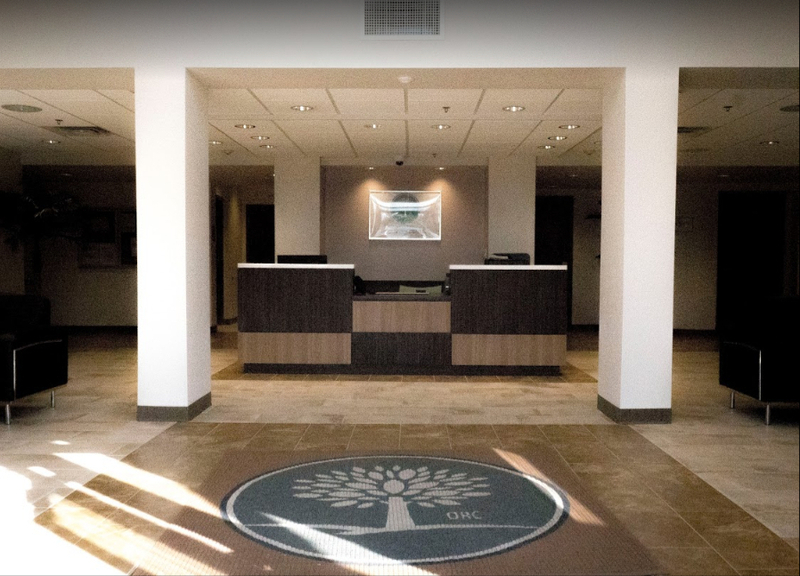 If you’re tired of the anxiety you feel over trying to stay clean and the late nights you’re spending worrying before your morning drug test, it’s time to come see us. Detox is the first step in your journey to becoming a drug-free individual. The detox process starts with an intake interview to assess your needs. This is the time to be upfront and honest with the medical staff and care professionals who will be treating you. Of all the people who enter detox every year, about half of them fail to complete it, and many don’t finish because they aren’t truthful about their treatment needs. There is no judgment here; thus, there’s no reason to downplay your addiction. We need to know what you’re using, how much of it, and how often. In addition, you’ll be asked about your medical and mental health history, as well as those of your family. The treatment of mental illness is a big factor in your success during rehab. Existing disorders must be treated in conjunction with your substance abuse problem, or relapse is highly likely. In most cases, detox takes about a week to 10 days, but what the experience will be like for you is very much dependent on which substances you’ve been abusing and how deep into addiction you are. For example, someone who became addicted to prescribed benzodiazepines within the last six months will generally have a somewhat less intense and simpler detox experience than someone who has been abusing the same drug for three years. Likewise, those who regularly use heroin or meth will have more severe withdrawal effects than a marijuana or ecstasy abuser. Modern medicine affords the detoxing addict plenty of medical interventions to ease the withdrawal experience. Alcoholics can have a very difficult time in detox, especially the 5 percent who suffer from delirium tremens — a potentially fatal consequence of withdrawal that should only be managed by medical professionals. Often, alcohol addicts are given benzodiazepines during detox to lessen the effects they feel and decrease the likelihood of serious side effects like DTs from even occurring. Heroin addicts and those dependent on prescription opioid pain relievers can benefit greatly from medicated treatment options that begin at the point of detox. Methadone maintenance programs have been shown to produce successful results in 60 to 90 percent of patients. Buprenorphine — a fellow opioid agonist that limits the user’s ability to get high off it — touted 88 percent success rates in early research. We encourage our patients to seek follow-up care post-detox. One study noted that patients who sought treatment within their first month of completing detox took 40 percent longer to relapse, if they did at all. Post-detox care can be rendered on an outpatient or inpatient basis. Generally, this is your choice, but the facility of your choosing can assist you in making the best choice for your individual circumstances. Some addicts can address their issues through outpatient care, but for others — like the 17 percent of admissions that were inpatient in 2011 — more intensive care is necessary. This includes those with severe mental health problems such as schizophrenia and persons who have previously failed at reaching recovery with outpatient care. Don’t let addiction come between you and the people you love. Substance abuse treatment can assist you in mending broken family relationships. Many facilities provide counseling for family members who are welcome to visit with you during treatment and sit in on some therapy sessions. In 2009, there were 23.5 million people abusing illicit drugs and alcohol and in need of treatment, but only 11.2 percent of them received it. Be part of the recovery statistic instead of the growing number of people who are addicted. Call us today and learn how we can get you back on the path to a healthy life. Esack, S. (2014 Jun 12). “Survey: One in six job seekers fails drug tests.” The Morning Call. Accessed November 15, 2014. “People Sentenced for Drug Offenses in the US Correctional System.” (n.d.). Drug War Facts. Accessed November 15, 2014. “Quick Facts.” (n.d.). Families Against Mandatory Minimums. Accessed November 15, 2014. “Results from the 2013 National Survey on Drug Use and Health: Summary of National Findings.” (2013). Substance Abuse and Mental Health Services Administration. Accessed November 15, 2014. Laino, C. (2010 May 28). “Drug Tests Often Trigger False Positives.” WebMD. Accessed November 15, 2014. “Quest Diagnostics Drug Testing Index.” (2014 Sept 11). Quest Diagnostics. Accessed November 15, 2014. Preidt, R. (2007 Mar 23). “Urine-Based Drug Tests Too Flawed For Widespread Use: Study.” ABC News. Accessed November 15, 2014. Dworkin, A. (2010 Jun 16). “Finding fake urine a real challenge for drug-testing labs.” The Oregonian. Accessed November 15, 2014. “Mental Health & Addiction: How and Why Mental Illness and Substance Abuse Often Go Hand-in-Hand.” (2014 Oct 11). BlueCross BlueShield. Accessed November 15, 2014. Burns, M.J. & Pinsky, M. (2014 Aug 22). “Delirium Tremens.” Medscape. Accessed November 15, 2014. “Kicking Heroin: Is Methadone the Answer?” (2012 Jul 21). The Breast Cancer Research Foundation. Accessed November 15, 2014. Matesa, J. (n.d.). “The Great Suboxone Debate.” The Fix. Accessed November 15, 2014. “Type of Service: 2011.” (2011). Substance Abuse and Mental Health Services Administration. Accessed November 15, 2014.